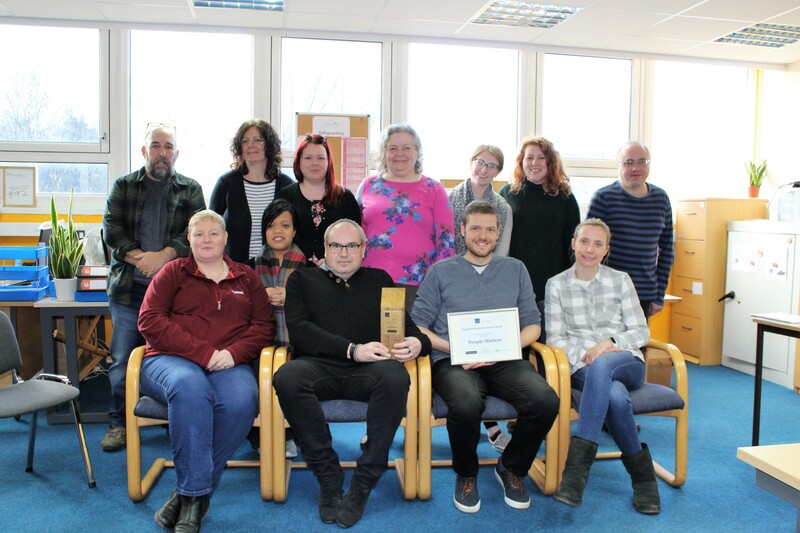 Following two years of development since becoming a charity, Holbeck-based People Matters are now celebrating as their hard work has been recognised at a star studded award ceremony in Bradford. People Matters collected the prestigious ‘Social Enterprise Award 2018’ at the awards hosted by Social Enterprise Yorkshire and Humber. The ceremony hosted social entrepreneurs from across the whole region from Scarborough to Rotherham. Consisting of organisations from charities to co-operatives who can also be a social enterprise having the key principles that they should largely trade in a sustainable manner and reinvest any surplus into extending the impact of their support in to their community. Judges said they were particularly impressed with their new employment service which is supporting people who are disabled and/or long term unemployed to make themselves employable and find the work that suits them best. A message of congratulations was received from Alex Sobel MP.